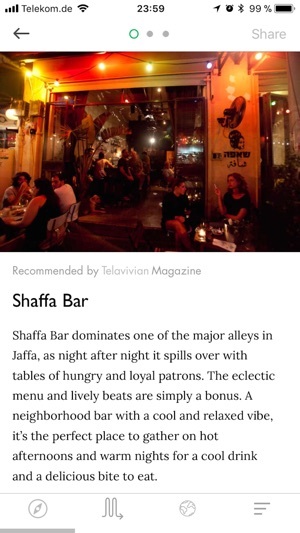 We are happy to share the ultimate guide for residents and visitors of Tel Aviv - both newcomers and old friends! 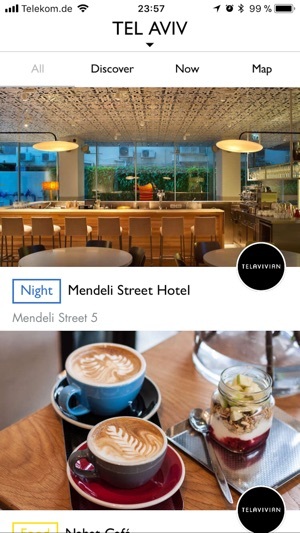 The Telavivian app is the ideal address book to the best restaurants, shops, bars, galleries, hotels and spas in Tel Aviv. 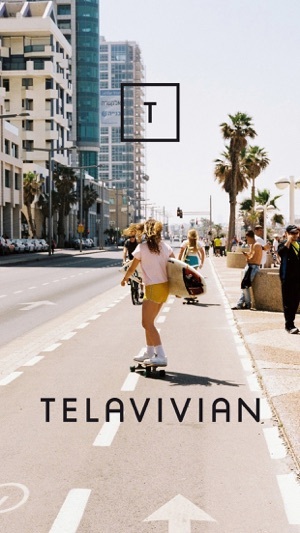 Telavivian is an online magazine featuring Tel Aviv’s art and culture. 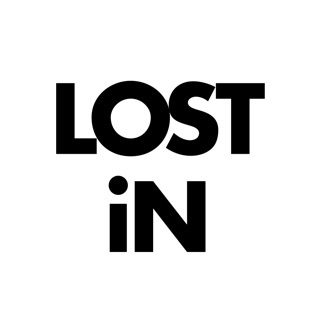 It is the voice of a roaring city that celebrates its rich and chaotic lifestyle and its lively and creative people. From art, fashion and music to wellness and culinary destinations, it is a space for you to learn more about Tel Aviv. 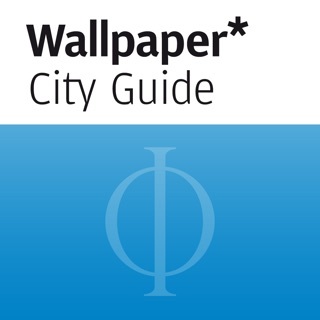 Discover the city with us - download the Telavivian City Guide app today!